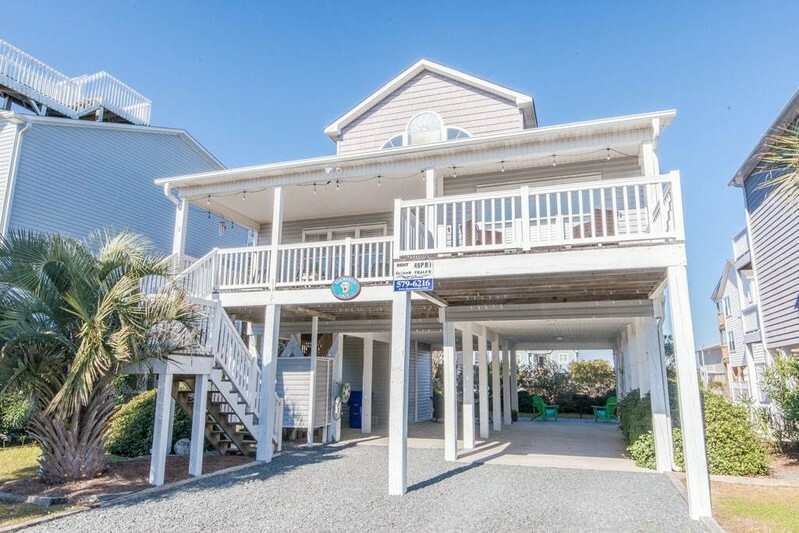 Cheerfully decorated, family friendly home located in the community of Summer Place on the desirable west end of the island with four bedrooms and three baths. Access to the private community swimming pool (seasonal). A short walk to the beach. The open concept living space accommodates a large flat screen television with HBO & Showtime movie channels + four additional TVs in bedrooms, 5 DVD players. The home has a fully equipped kitchen, dining table, breakfast bar, rocking chairs on the front porch. Relax in the hammock out back and take in those ocean breezes. Other amenities include a charcoal grill, wireless internet access, washer/dryer, dishwasher and outside hot/cold shower. Non-smoking and No pets allowed! Sleeps 12. Bedding: King, Queen, 2 Doubles, 2 Doubles. All bed linens and towels provided.